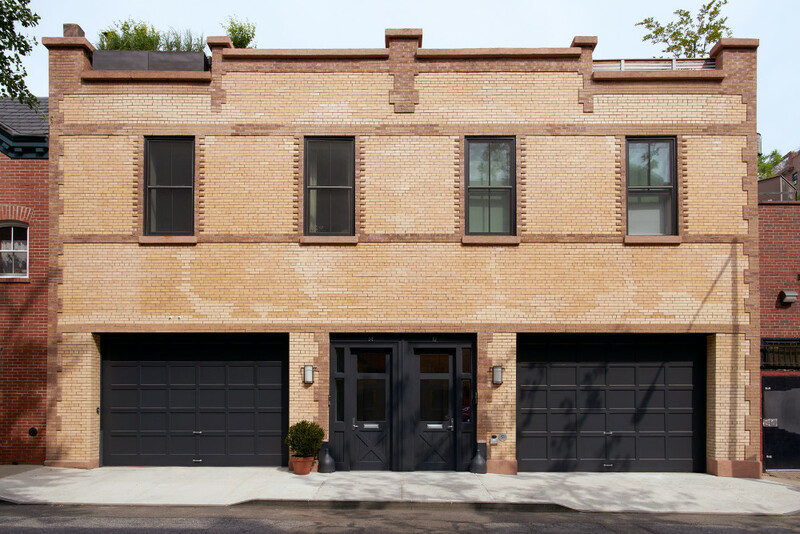 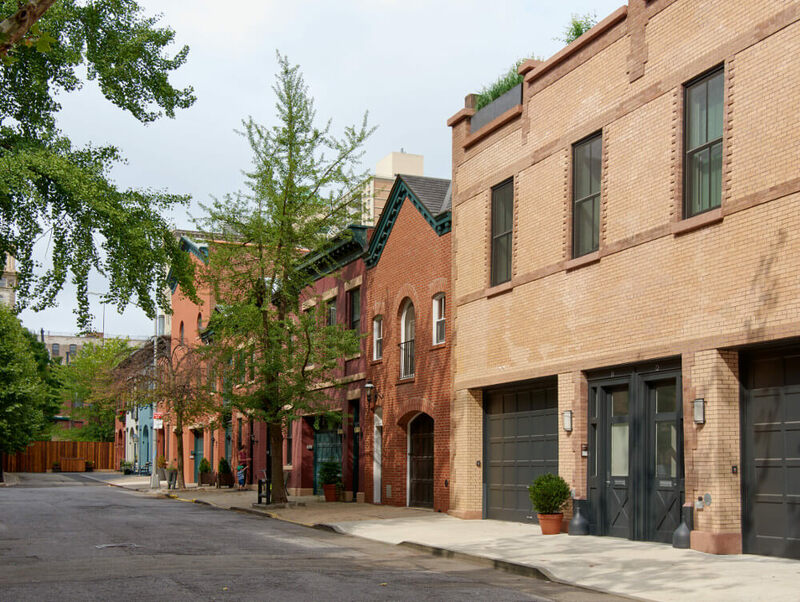 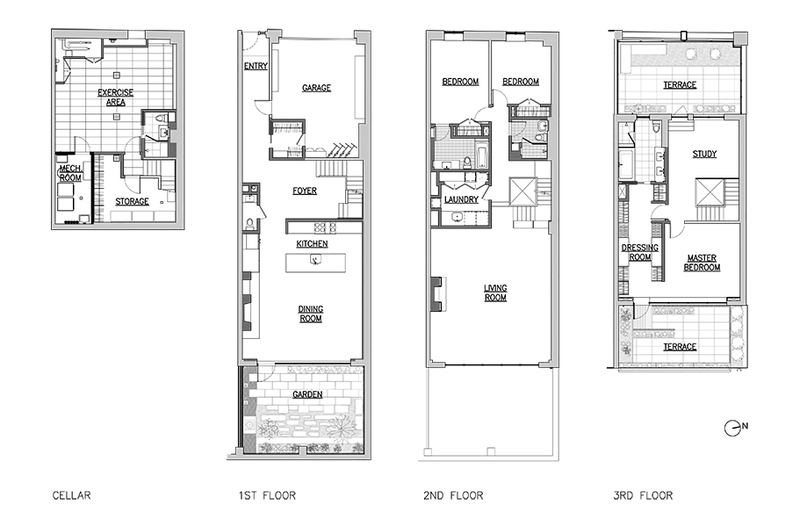 A developer had split this Brooklyn Heights carriage house down the middle before our clients bought the left half. 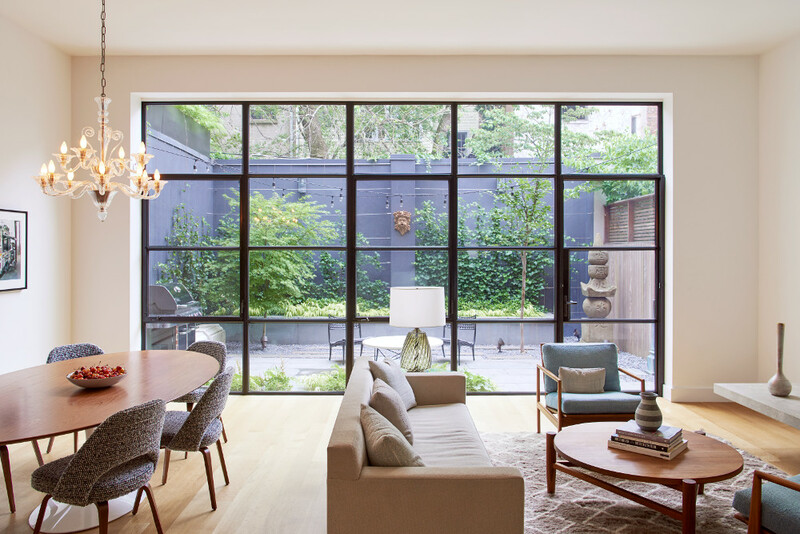 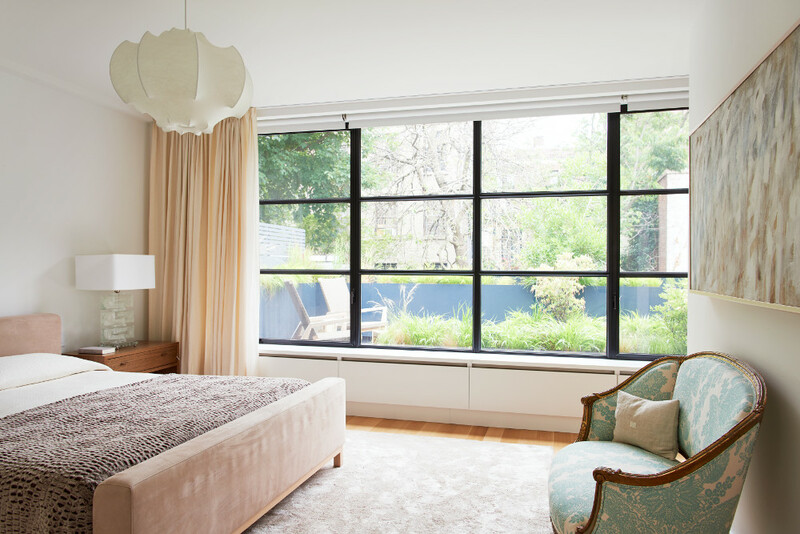 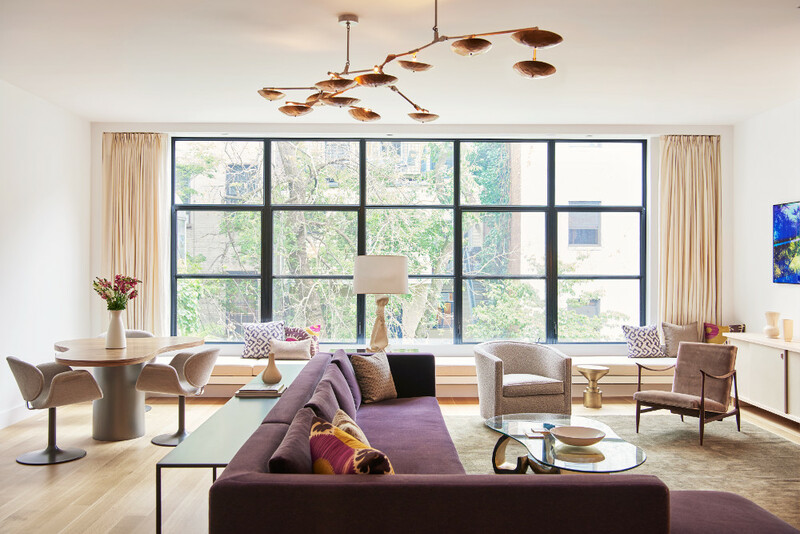 Reviving the building’s industrial past, we installed new steel windows. 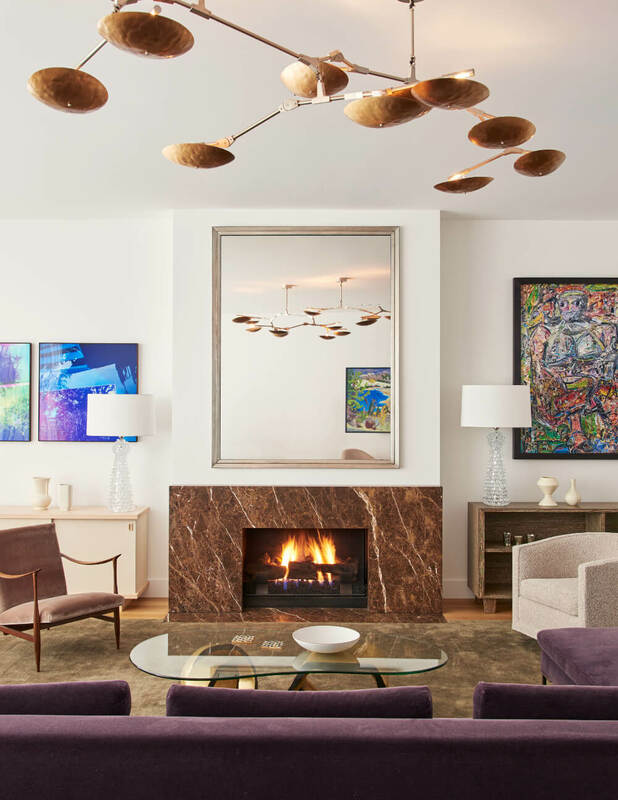 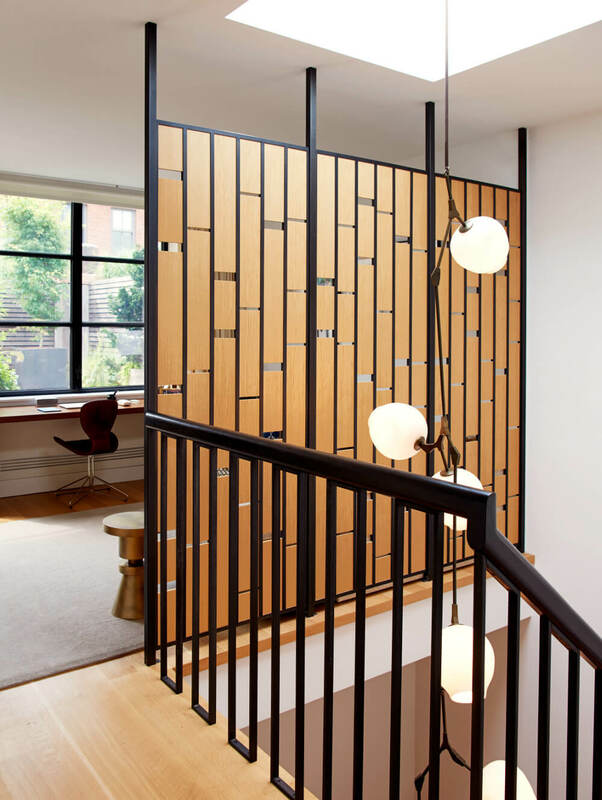 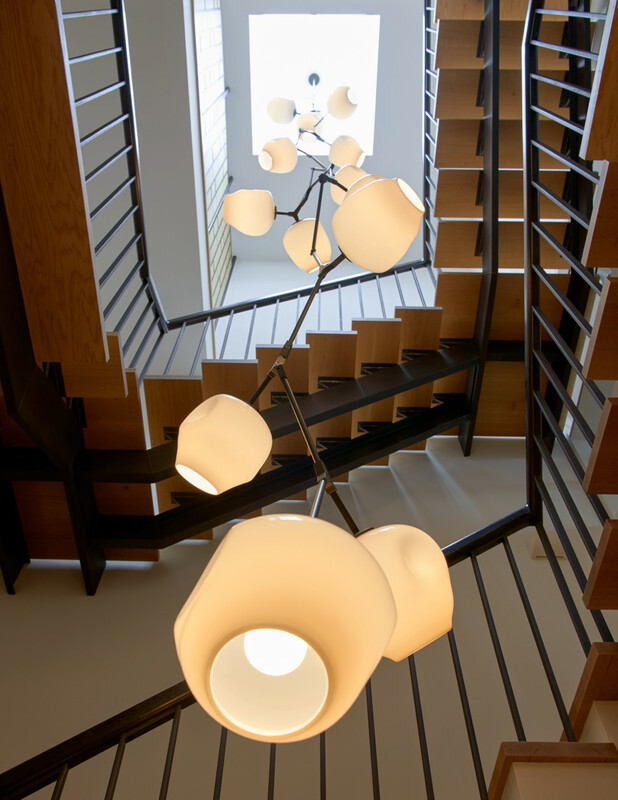 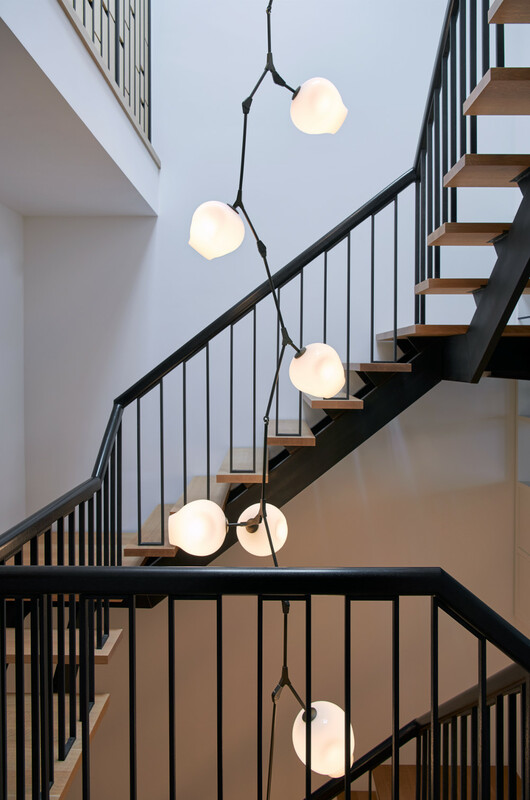 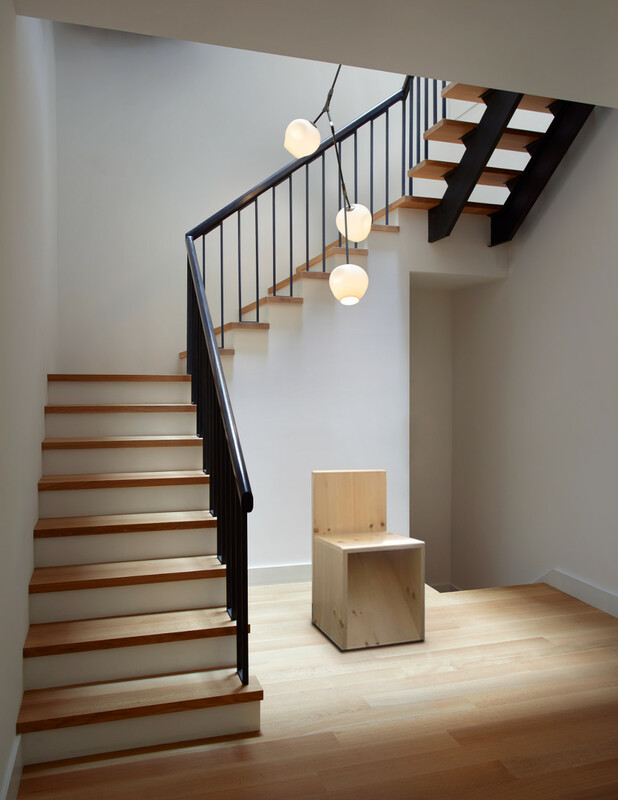 But we also added elegant, modern details: like a new steel and oak stair that winds around a three-story pendant light. 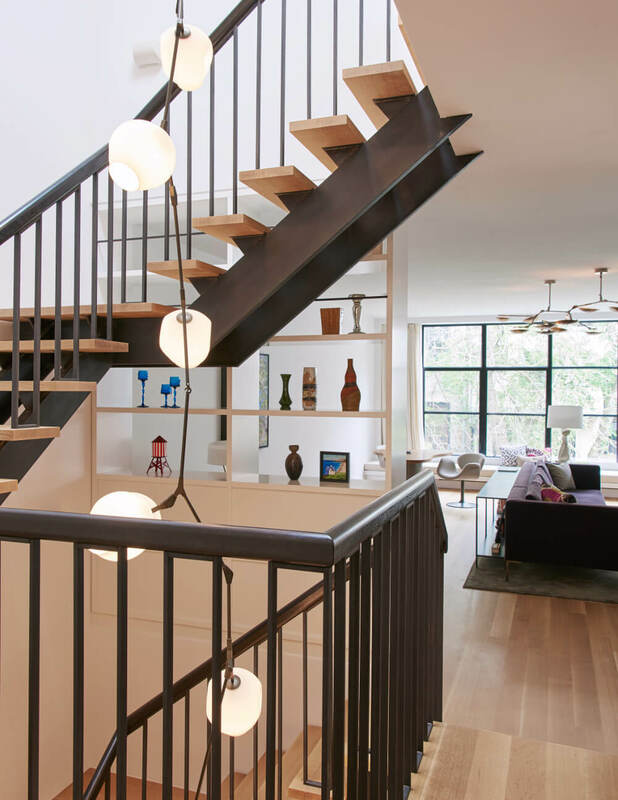 At the top of the stair, a large skylight drops daylight through the center of the house. 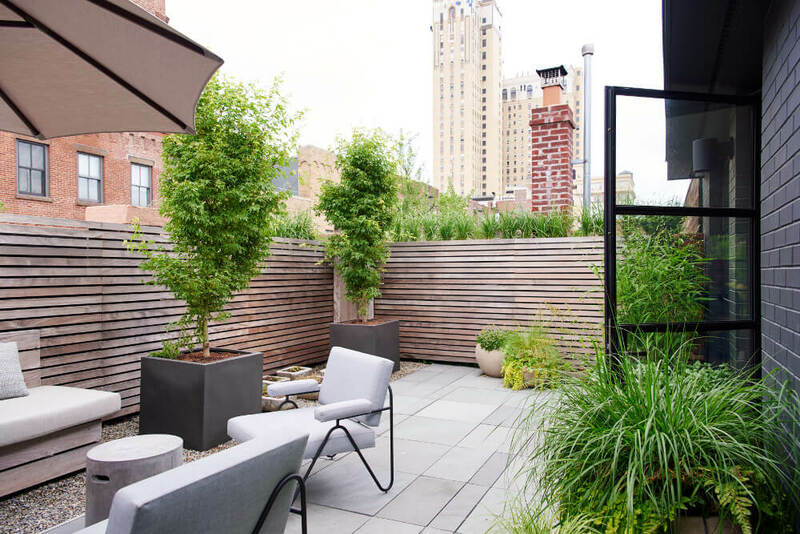 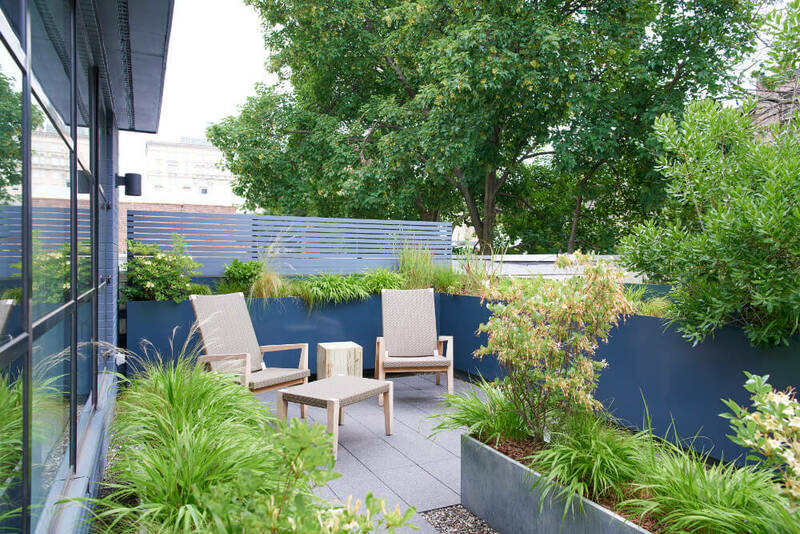 The rear garden and roof decks provide views to green on every floor. 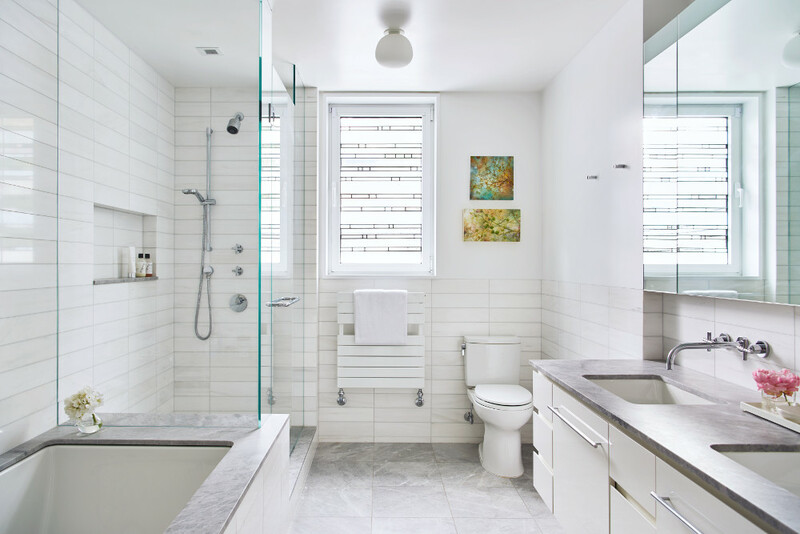 Our modern stained glass serves as a privacy screen for the master bath. 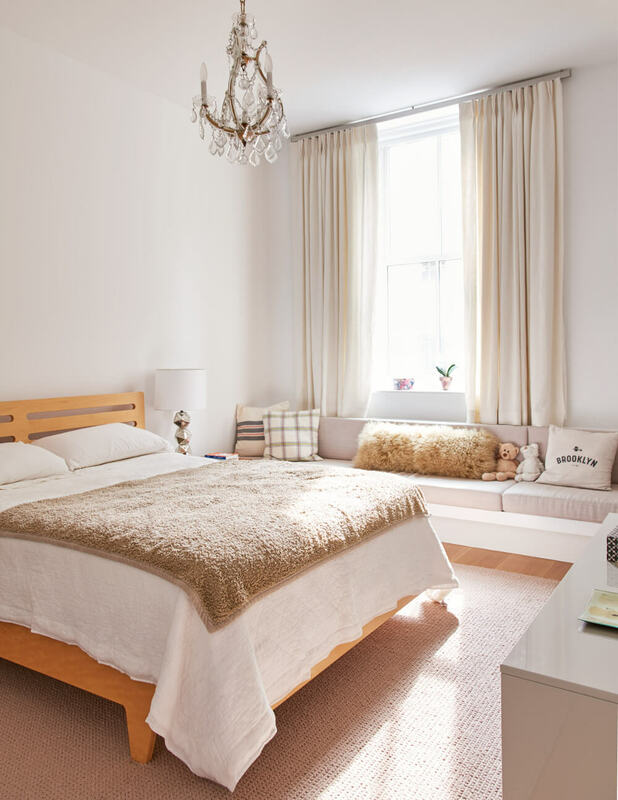 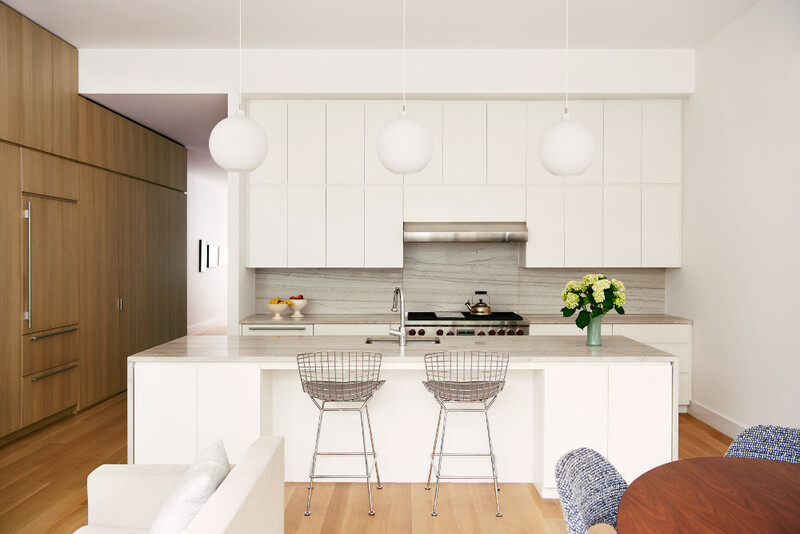 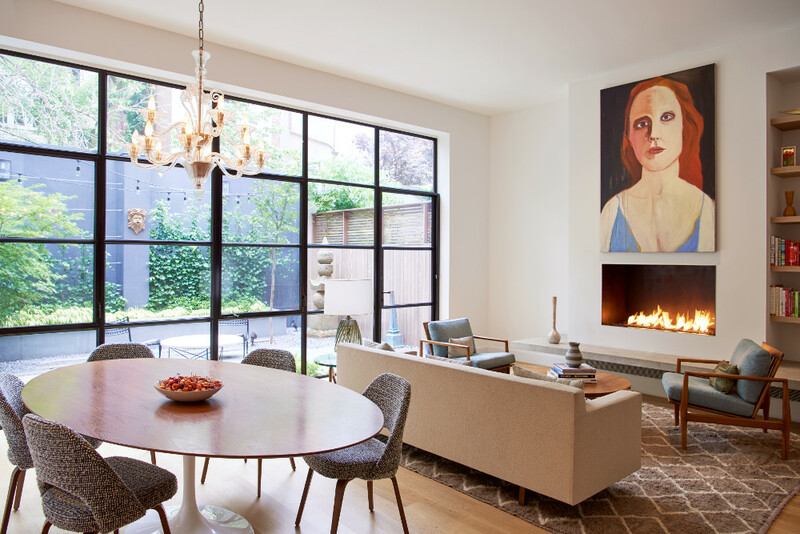 And warm metal accents and light colored woods soften large rooms. 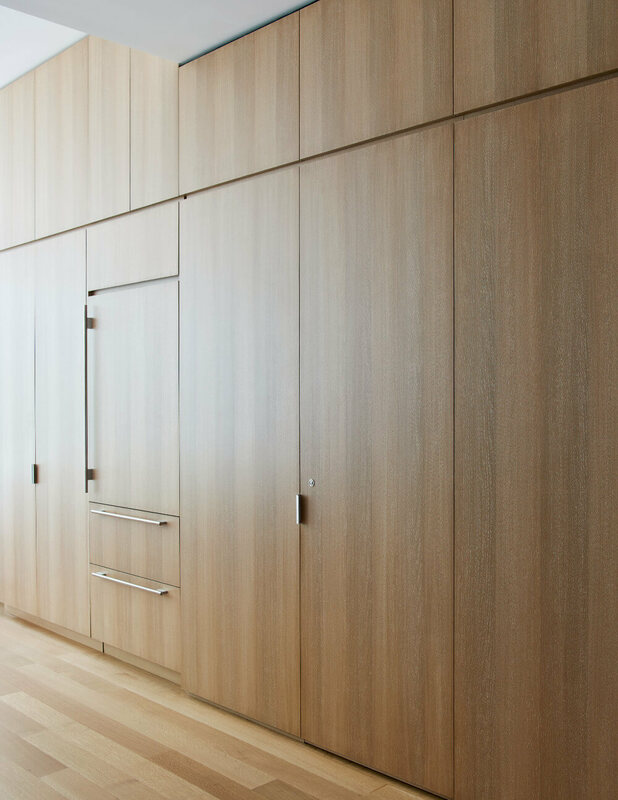 A wall of cerused oak, for example, hides a powder room and kitchen storage.